Used in the design of database applications, an Entity Relationship Diagram (ERD) is an industry standard graphical representation of entities and their relationships to each other. An entity is a piece of data - an object or concept about which data is stored. A relationship is how the data is shared between entities. This style of diagram allows us to map out the best format for your database and provide the blueprints for a sucessful project. 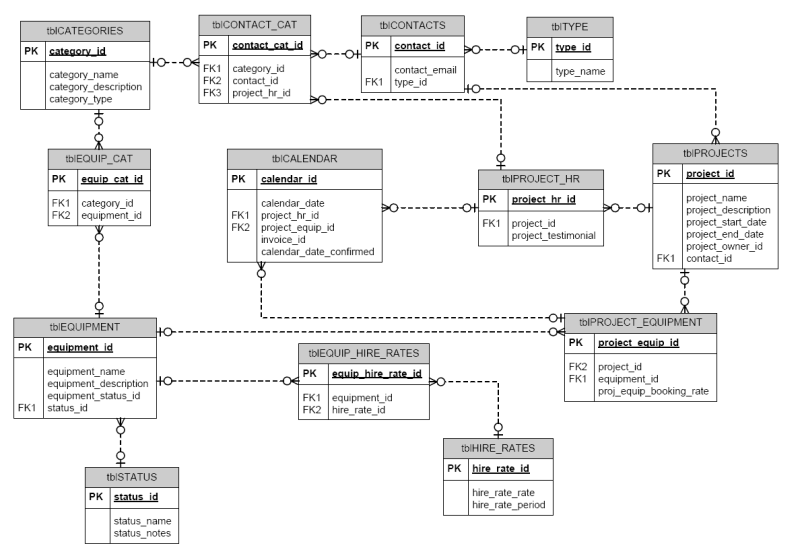 Entity Relationship Diagrams are an essential part of the Structured Systems Analysis and Design Method (SSADM) which Impact follows when underataking creation of all database applications. If you have any queries about the best format for your database application development, please feel free to contact our expert team.